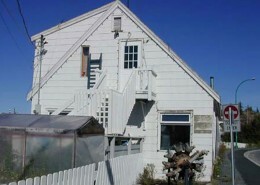 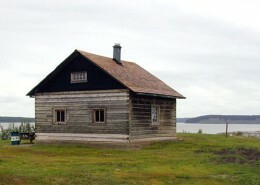 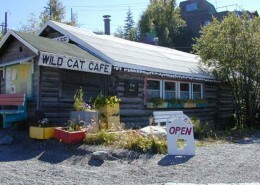 Déline Fishery / Franklin’s Fort National Historic Site of Canada is situated on the western shore of Great Bear Lake in the Mackenzie River drainage basin 550 kilometres northwest of Yellowknife in the North West Territories. 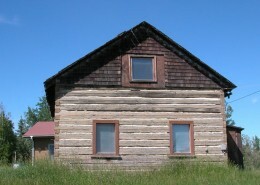 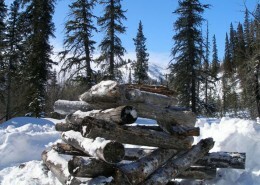 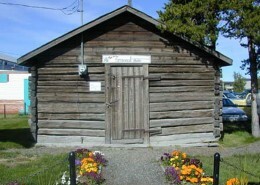 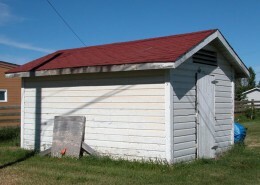 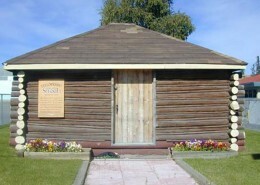 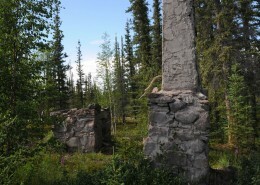 Now located within the small community of Déline, the fort was constructed on the site of a traditional seasonal Déline fishery at the headwaters of the Bear River. 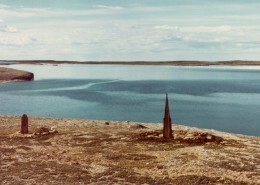 This was the wintering site for a group headed by Sir John Franklin, who, starting in 1825, mapped part of the Arctic coast of Canada. 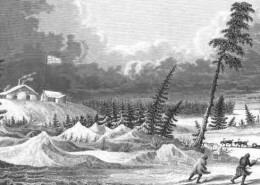 The fort provided a staging area and winter quarters for two years, from 1825 to 1827, during his second overland expedition. 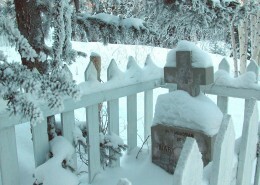 There are no known above ground remains. 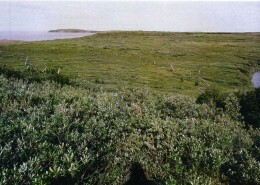 Official recognition refers to the site and its archaeological remains. 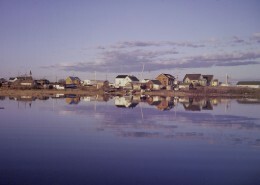 the Sahtu Déné see the fishery at Déline as being of particular cultural significance to their occupation of the region. 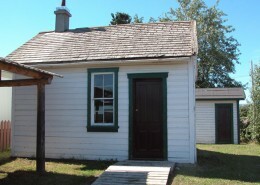 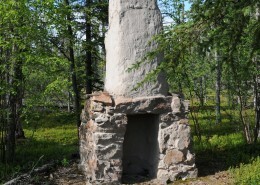 Constructed to provide a wintering place for nearly 50 people in Sir John Franklin’s second overland expedition from 1825 to 1827, Fort Franklin was sited to take advantage of a highly productive Aboriginal fishery. 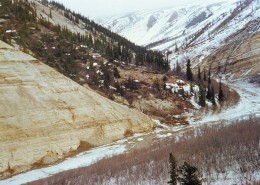 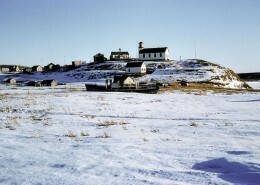 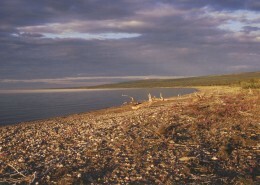 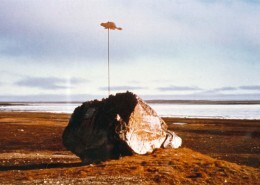 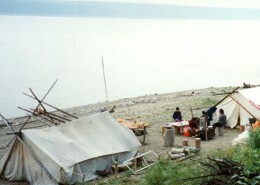 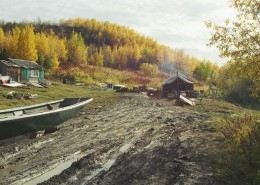 Factor Peter Warren Dease of the Hudson’s Bay Company selected one of the most productive Déné fisheries in the Mackenzie River drainage area, parts of which remain ice free, as the location of the Fort. 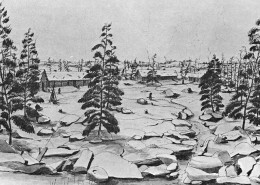 Historic prints of Fort Franklin show a cluster of small structures including a small tower. 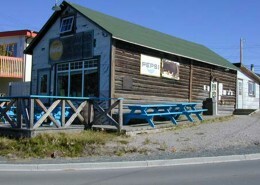 During 1820’s the Hudson Bay Company re-opened its store in order to supply Franklin’s expeditions. 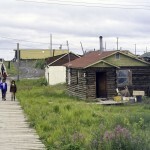 The second expedition came into close contact with the Dogrib who wintered there, and with the Hare-Slavey and Gwich’in who journeyed from along the north shore of Sahtu to trade meat and furs. 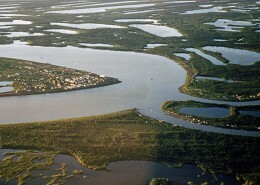 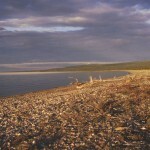 Great Bear Lake and Great Bear River became important trade routes. 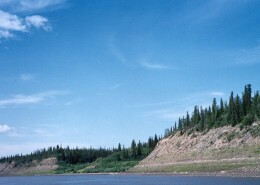 The Sahtu Déné supplied the post with food and guided the mapmakers during their stay from 1825 to 1827.The trade for meat and fish with the Déné of Great Bear Lake was crucial to the expedition’s food supply and survival. 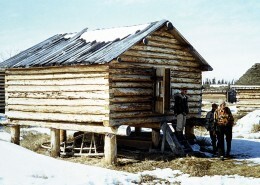 This exchange enabled the expedition to avoid the supply difficulties faced during the first expedition. 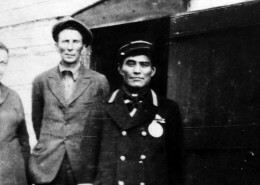 Dr. Richardson a Naval surgeon provided the local population with medical care in exchange for supplies and aid. 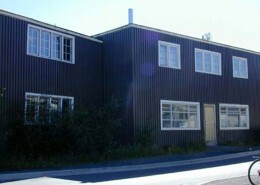 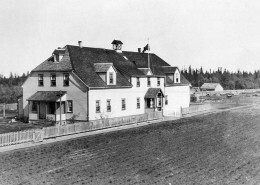 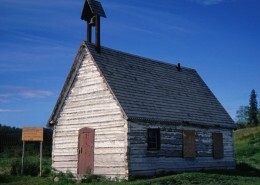 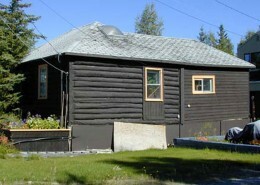 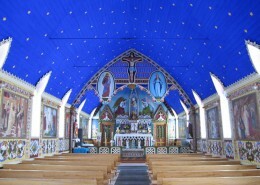 The discovery of pitchblende at Port Radium and oil at Norman Wells encouraged growth around the site at Fort Franklin in the 1920s, and further development occurred in the 1940s and 1950s when a period of construction centred on the Roman Catholic Mission, the Federal Day School and the post of the Hudson Bay Company. 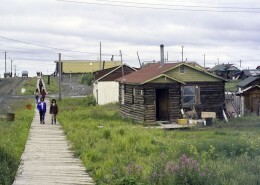 The community become a permanent settlement in 1952. 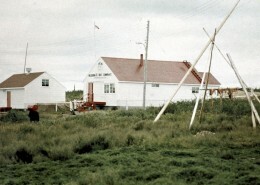 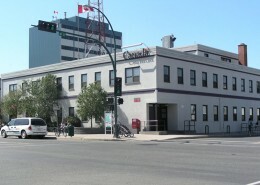 In 1993, Fort Franklin officially changed its name to Déline, which is now largely inhabited by people of the Déné and Métis communities. 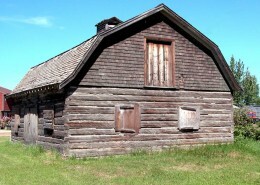 The present-day community of Déline has had a long-standing interest in Old Fort Franklin and in the site’s power to explain its own past. 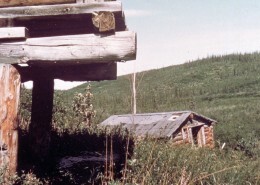 the integrity of the surviving archaeological remains, features and artefacts in their original placement and extent, including the in situ vestiges and various discrete archaeological features both identified and as yet unidentified that lie both above and below ground that relate to the site’s use during the 1820s. 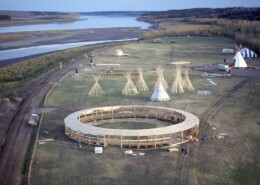 Quoted from Historic Sites and Monuments Board of Canada, Minutes, November 1975, November 1996, June 2004, July 2005.